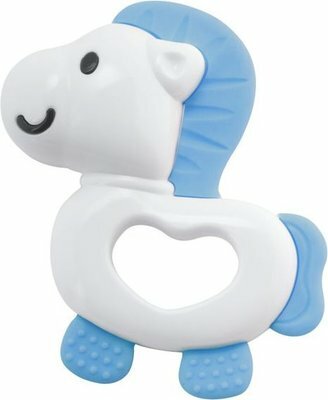 New from the Fantastic Love range, pony-shaped teethers with ergonomic handles, designed to refresh and soothe the baby’s gums. It can be stored in the refrigerator to cool the water in the bearing and relieve sore gums during teething phase. Available in dark pink or blue.